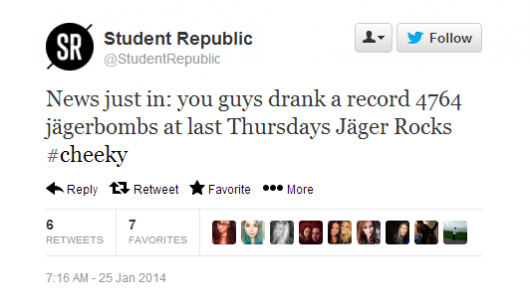 This Thursday saw another record broken for popular Kent student night Jäger Rocks, as around 800 devoted attendees downed 4,764 Jägerbombs between them. 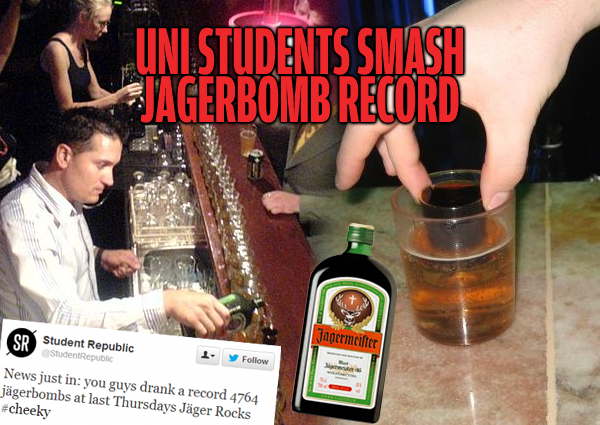 That’s over 1,000 an hour, and an average of 5.9 Jägerbombs per person. 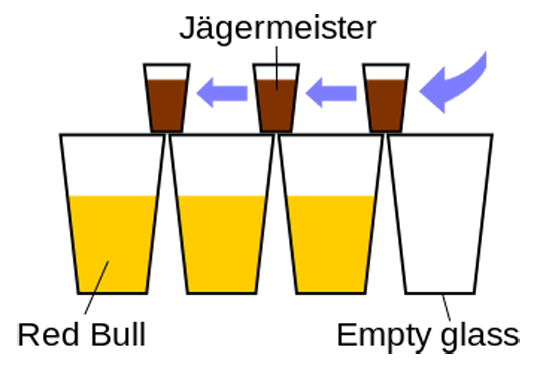 “It’s always a mental night, but it was better than ever,” one third year psychology student reminisced, “the Jäger just did not stop flowing”. “It wouldn’t even be over 4,000 if it wasn’t for me and my mates,” another student confidently claimed (whilst nursing his hangover). With Jägerbombs costing only £1 all night, Jäger Rocks has remained one of Canterbury’s top student nights since it opened in September. According to Tab estimates, the average student knocked back 6 units of alcohol on the night – almost one third of the men’s weekly recommended maximum. Think you could do better? Tell us in the comments!